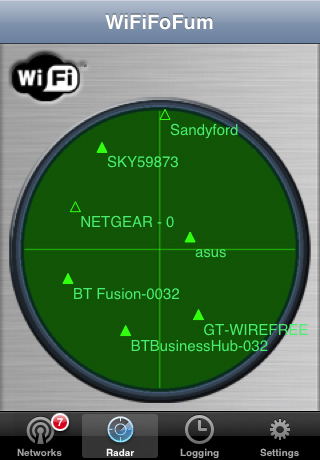 WiFiFoFum: Get The Ultimate WiFi Network Scanner For Free! If you have been paying attention in the last little while then it is no doubt that Apple has been partaking in some ‘spring cleaning’ let’s say within the App Store. First of all Apple got rid of applications containing explicit content. Once that whole ordeal was over Apple decided they were just going to disallow wifistumblers from the App Store. This means that applications like WiFiFoFum, wifitrak, yFy Network Finder and many others vanished overnight because apparently they used a private framework. To top that all today Apple has also taken off applications that contained poor quality UI or applications that were un-useful like an application called iQuak which simply quacked. While this isn’t necessarily a bad thing for the App Store it is certainly still going to be a shock to developers who now have nowhere to promote their applications officially. While applications like iQuak don’t matter well developed applications like WifiFoFum and other well developed applications now have nowhere to turn beside Cydia (which isn’t a bad thing for us). However it really does show us that Apple is increasing its regulations and cutting out applications that do not meet their regulations accordingly. Luckily the developers of WifiFoFum weren’t going to let Apple tell them their application wasn’t wanted. They have already listed their great Wifi Stumbler application onto Cydia for Free! If you haven’t heard of WifiFoFum then it is a great application that acts as a mobile WiFi scanner and wardriving tool. WiFiFoFum scans for 802.11 wireless (WiFi) networks and displays information about each network it detects; including: SSID, MAC, RSSI (signal strength), channel, AP mode, security mode and available transmission rates. This is great for Networking professionals and other IT personal, however what does this application do for the average user? Well WifiFoFum extends the iPod Touch / iPhone’s WiFi finding capabilities and discovers networks that the OS (operating system) will not usually discover. It also provides a radar to locate Wireless Networks and many more great features and settings to play around with. If you haven’t already go onto Cydia and install WifiFoFum for free and discover how great of an application it is today! That Version in that picture is the best one….